Chu Chocolate Bar and Cafe is a must-visit for chocolate lovers in Bangkok. I'm a chocoholic, through and through. Chocolate just makes me happy. In fact, I might have a problem, but that's another, much less fun post. Living in Bangkok means I'm constantly surrounded by temptation and I find myself giving in to my sweet tooth much more often than I should. 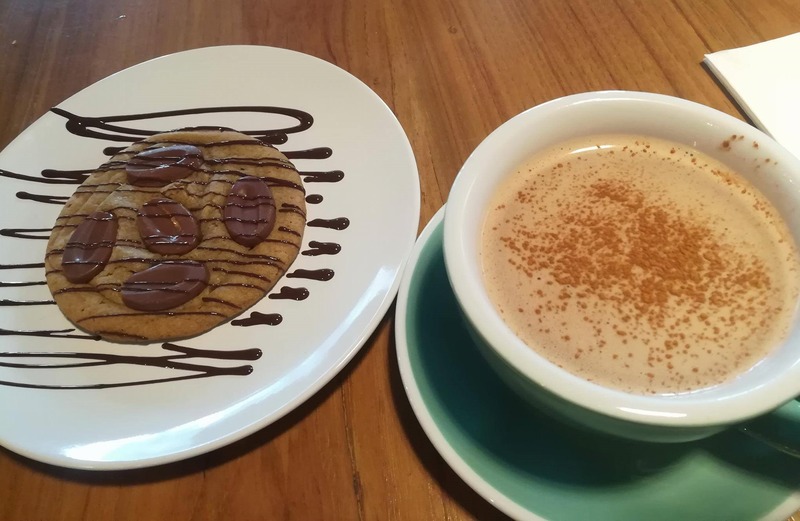 One of my favourite places to do that is Chu Chocolate Bar and Cafe on Sukhumvit Road. This place specializes in all things chocolate, including cakes, brownies and cookies. However, they're most famous for their range of hot chocolates. Most coffee shops only offer one or two types of hot chocolate, and it's hard to find a good one. 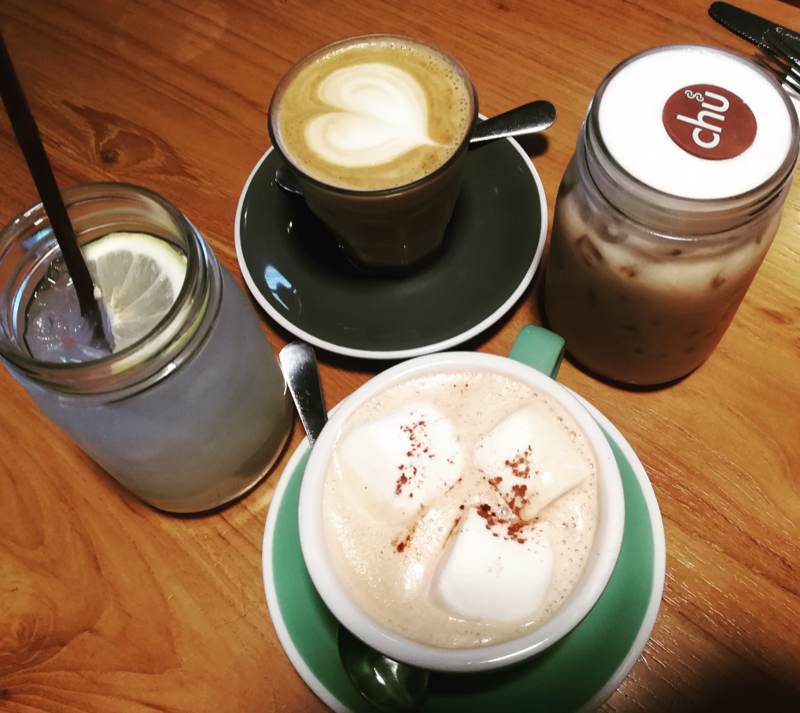 When I heard that Chu Chocolate Bar and Cafe in Asoke district had a whole range to choose from, I just had to check it out. There's American hot chocolate with marshmallows, Belgian with cinnamon, dark, and white. They have some more interesting varieties, too. There's a Mexican chili and chocolate drink, which I haven't yet been brave enough to try, and a Spanish thick hot chocolate, which they say is perfect for dipping churros. It's almost like a pudding, so think you could eat it with a spoon. So good! I usually go for the American style, but on my most recent visit, I went for the Belgian hot chocolate with a soft-baked chocolate cookie on the side for good measure. Another highlight is the chocolate lava cake. It takes 15 minutes, but it's worth the wait. If you're a little too impatient for that, there's a chocolate mug cake with a melted marshmallow on top, which comes out very quickly. If neither of those tickles your fancy, there are plenty of other baked goodies to choose from, including peanut butter brownies and lemon curd muffins. It's not all sweets at Chu. They have a full menu of breakfast, lunch and dinner dishes, too. They're most popular for their eggs Benedict, but I've never tried it. 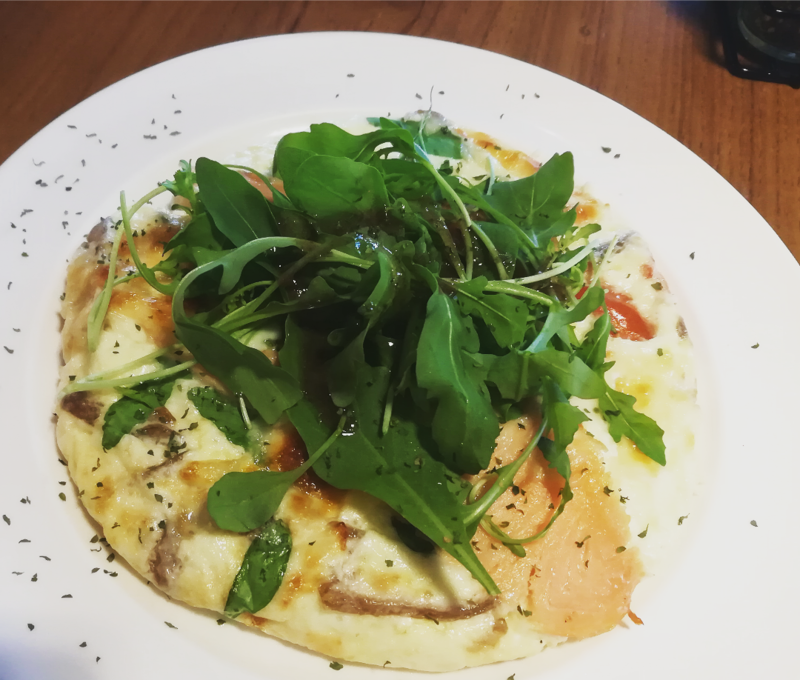 I'm a fan of their egg white frittata, which is made with smoked salmon, mozzarella and rocket. 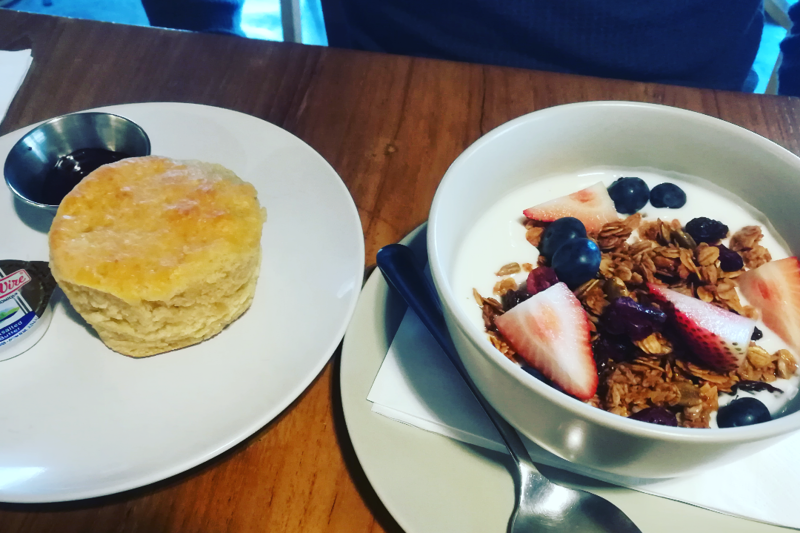 My boyfriend opted for granola with a buttermilk biscuit on the side. Healthy main courses mean we can have more desserts, right? I'm not a coffee person (I'm really just here for the chocolate), but if you are, you won't be short of options here. Whatever you order, it's guaranteed to look pretty. 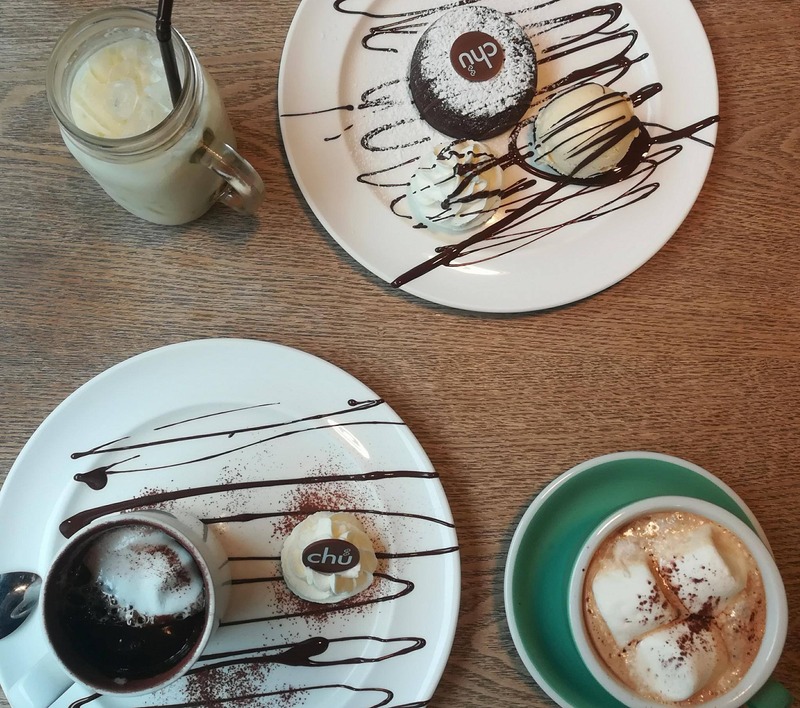 Chu Chocolate Bar and Cafe is located at 204-206 Exchange Tower, 388 Sukhumvit Road right off Asoke BTS station, which is one of the busiest areas of Bangkok, so it often gets busy. Still, there's no need to book. It's generally a chilled place, and I'd definitely recommend it to anyone looking to indulge. If you're somehow not temped after looking at the menu, the decor may convince you!